This was first mentioned by Tim Cook during Apple’s Q4 2015 Earnings Call . 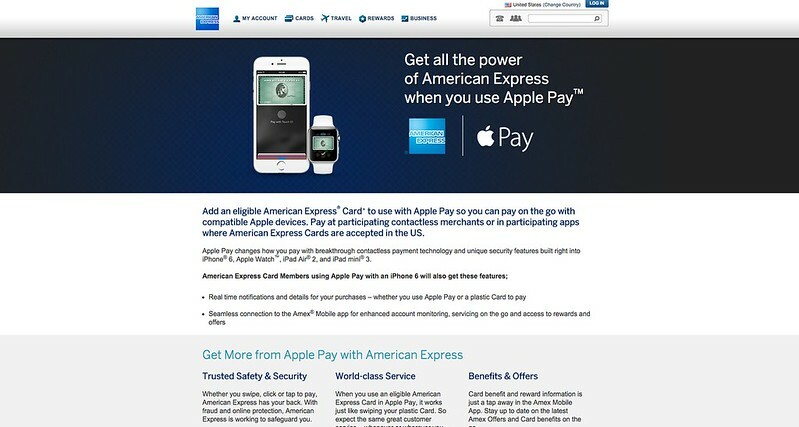 American Express (NYSE:AXP) announced today that Apple Pay will be available in key global markets allowing American Express Card Members to pay on the go with an iPhone, Apple Watch or iPad. Apple Pay is expected to be available for Card Members in Canada and Australia this year and in Spain, Singapore and Hong Kong in 2016. With Apple Pay, Card Members in these countries will have the ability to seamlessly add their eligible consumer, small business and corporate American Express Cards and pay with iPhone or Apple Watch in stores where contactless payments and American Express are accepted. Card Members will also be able to use their iPhone or iPad to pay within participating merchant apps. You can technically already use Apple Pay in Singapore , if you change your iPhone region to United States and have a US Credit or Debit Card. Let’s hope the banks in Singapore will support Apple Pay as well next year.